Sometimes, it’s difficult to put into words what a trip has meant for me. I don't mean to get over-emotional, but while all trips are definitely memorable, some just stand out. The week we spent in Portugal this February is of the latter. Perhaps because I didn't really know what to expect, perhaps because it was the perfect combination of business and pleasure, and a very much welcomed break from the freezing cold Danish winter. And most certainly because we got to explore the countryside and rugged coastline of Algarve as well as the narrow streets of Lisbon for the first time (please scroll down to end of post for a curated guide to Lisbon and the Algarve coastline). A direct SAS connection took us from Copenhagen to Faro in the south of Portugal. After spending the afternoon strolling around the beautiful old town of Faro, we got in our rental car and headed out for a few days of road tripping what is referred to as the most beautiful coast line of Europe. 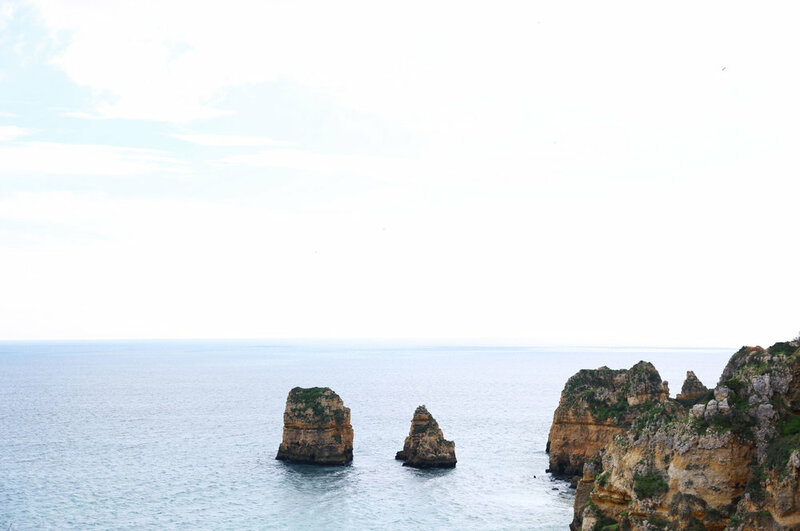 It was a sight indeed, and hiking around the steep cliffs combined with lunch breaks in charming, whitewashed fishing villages made us fall pretty hard for Portugal after just a day on the road. The fact that we visited during low season might have played a role in this, as I can vividly imagine the area and beaches getting packed with tourists during summertime. We were practically the only ones around, and with temperatures equivalent to a warm spring day in Denmark as well as low-season prices, I would definitely recommend visiting the area this time of year. As often when travelling, we had kept our possibilities open and apart from our first night on the road and accommodation in Lisbon, we booked B&B's and hotels as we went along. This approach might sound stressful to some, but I feel the opposite. I always like to be able to improvise, to prolong a stay with a night or two, or to stumble across little gems along the way. I had plotted in a couple of stops along the coast on the route from Faro to Lisbon, mostly consisting of beaches and villages, and other than that, we asked locals and googled our way to some memorable experiences along the way. One to highlight is the Alentejo Country Hotel located in olive fields just around 130 kilometres south of Lisbon. With prices starting at 85€ per night during low season, this beautiful hotel was a perfect place to spend a peaceful night (plus, the hotel restaurant was excellent which was nice since there weren't any other options around). After our fair dose of stunning nature scenes, we made it to Lisbon. Our days in the charming and hilly city were perfectly completed with our stay at the almost-too-beautiful-to-be-true Santa Clara 1728 that definitely deserves a post on its own (coming soon!). 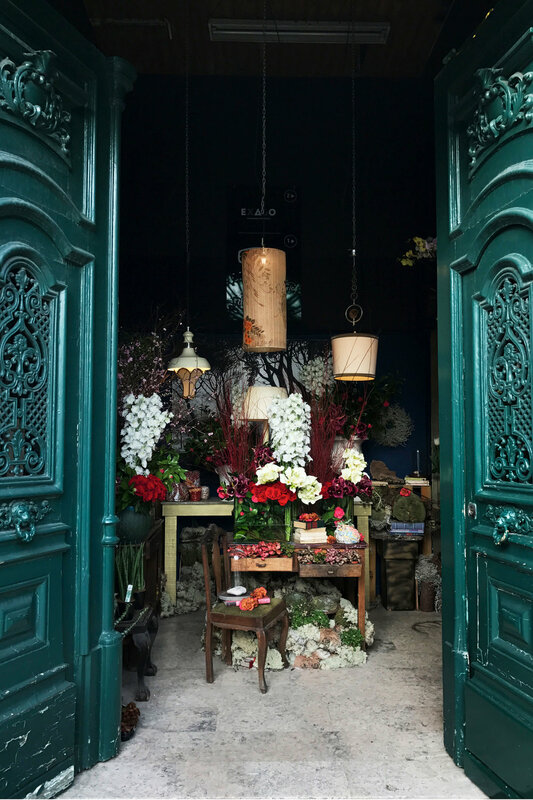 Below, I have collected my favourite Lisbon spots, though I do feel that all we really did was just wander around somewhat aimlessly. The narrow and windy streets make it difficult to find specific addresses anyway, and if you start out in a charming neighbourhood, chances of stumbling across a cosy square, cafe or little side street are pretty high. My favourite neighbourhoods were Alfama, Santa Clara and the northwestern part of Bairro Alto, while there are plenty others that we didn't have time to explore. Naturally, we also enjoyed breaks at coffee shops as well as charming Lisbon restaurants. To be honest, Portugal as a whole isn't the obvious destination for a foodie, and much of the meals available on our road trip in the countryside were not memorable in any way. However, we enjoyed some great food in Lisbon, and chef José Avillez' modern Portuguese dishes at Bairro do Avillez stands out as the best during our trip. The only place that disappoint a bit were the LX Factory area in the neighbourhood of Alcântara. An industrial village inhabited by a number of boutiques, cafes, and workshops, and recommended wildly across the Internet, I found it too hipster-pretentious, and not really worth the trip out there. Other than this, Lisbon was stunning as few cities I have visited before, and I am looking forward to exploring more of this city and Portugal someday. If you have any recommendations for others (and myself when the day comes) to enjoy, please feel free to share them in the comments below.